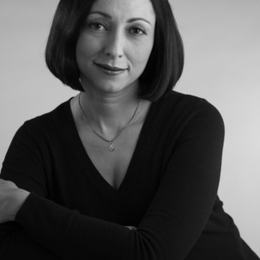 Marina Nemat was born in 1965 in Tehran, Iran, and came to Canada in 1991. Her first memoir, Prisoner of Tehran, has been published in twenty-nine countries and her second book, After Tehran, in four. In 2007, Marina received the inaugural Human Dignity Award from the European Parliament, in 2008 the Grinzane Literary Prize in Italy, and in 2014 the Morris Abram Human Rights Award from UN Watch in Geneva. She is the co-chair of the Board of Directors at the Canadian Centre for Victims of Torture (CCVT), the chair of the Writers in Exile Committee at PEN Canada, a member of the Board of Directors at Vigdis, a Norwegian NGO that aids female prisoners of conscience, and a member of the International Council at the Oslo Freedom Forum. Marina regularly speaks at high schools, universities, and conferences around the world and teaches memoir writing at the School of Continuing Studies at University of Toronto. Bio last modified November 28th, 2018.